I know, it is just about weekly that we post something about the new 2015 Dodge Challenger Hellcat. Well, we only do it because it is the most powerful American Muscle Car to hit the streets fresh off of the production line packing in 707 horsepower. 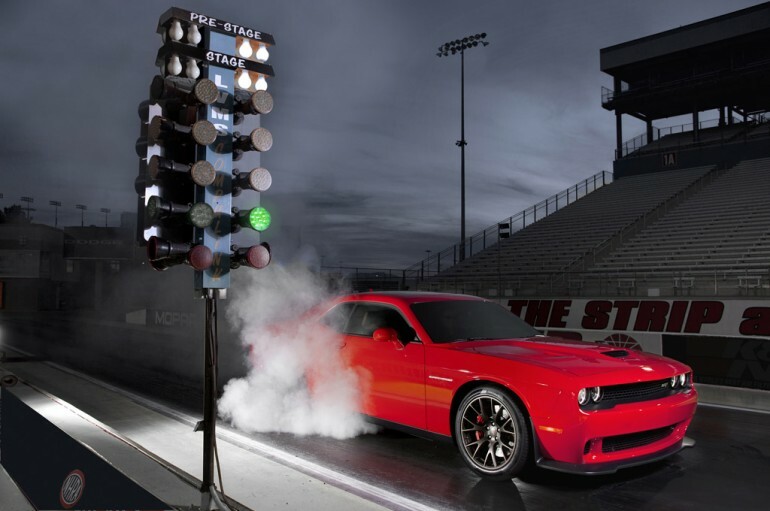 Apparently, the new Hellcat is able to run the quarter mile in 10.8 seconds at 126 mph if it is equipped with a set of slicks out back. On its standard Pirelli P Zero tires it can make the run in 11.2 seconds with a trap speed of 125 mph. Yeah, that is fast! Check out the video featuring Gas Monkey Garage’s own Richard Rawlings putting the smack down on the strip! WHOOOOO!! America!